As much as I love behind the scenes videos, making them often takes a big chunk out of my day. 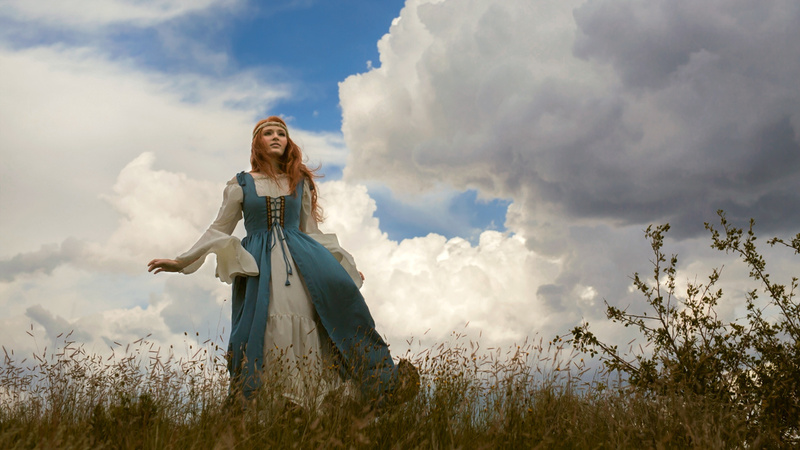 I like the videos to have something of a cinematic feel that relates to the theme of the shoot (if you've read my article, Create Cinematic Cosplay Photos in Seven Steps, you'll have seen a perfect example created for me by HiKoncept Image Branding), and that requires a bit more time and precision than simply throwing together a few clips of me and my crew working on set. 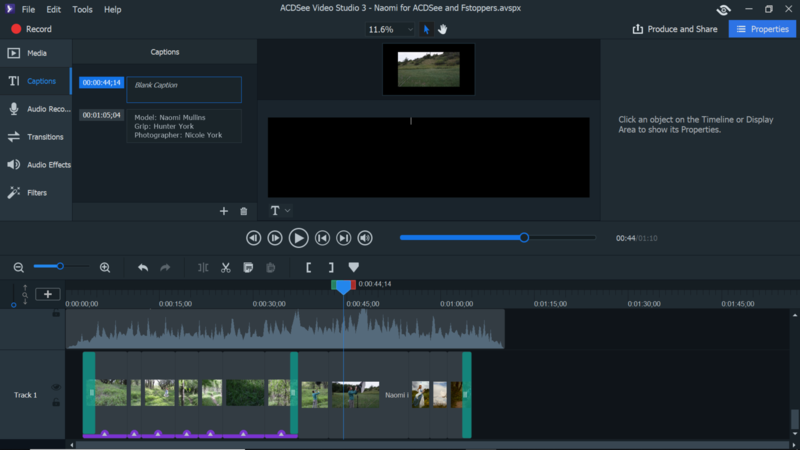 It's the time commitment that often stops me from creating videos like these, but with ACDSee Video Studio 3, I can get a behind the scenes video edited and exported in less than an hour. 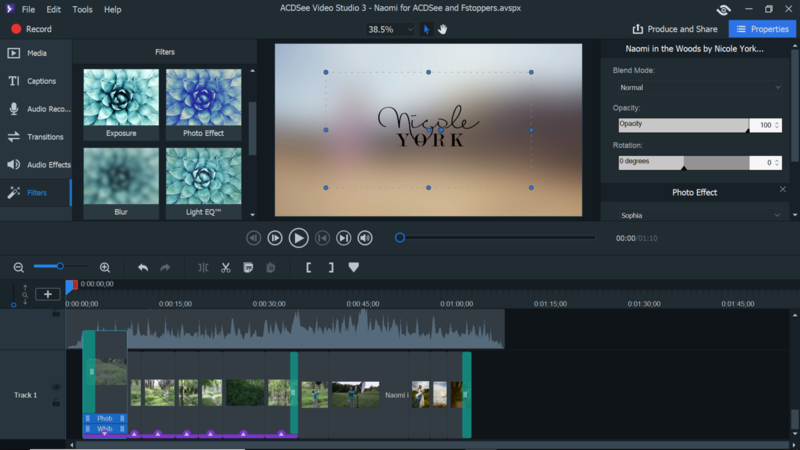 Because of the simplicity and ease of use, I can get video, audio, and stills uploaded, cobbled together, trimmed, edited, and finessed in much less time than I'd spend in other programs. A big reason for this is that while I know how to use other video editing programs, videography isn't my job. I haven't developed the speed and comfort that more experienced users might have. Because Video Studio 3 is pared down to the necessities, I was able to get this video ready for upload in exactly 51:38.63. 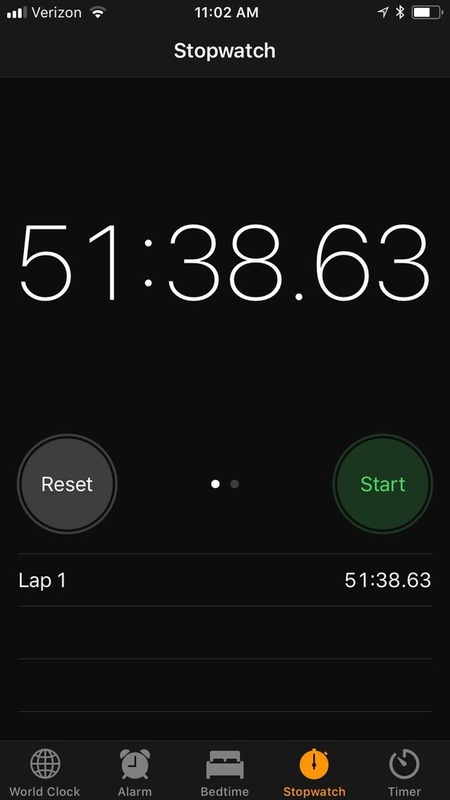 Here's a screenshot of the stopwatch on my phone. I started the watch when I opened the program and stopped it when the video finished exporting. Less than an hour. WIN! Let's break down the steps it took to create this short behind the scenes video. Press the + button on the Media Bin to add files. Click on the file you want to add and drag it from the Media Bin to the Timeline. Move the video clips into the position you'd like them by clicking and dragging, then trim off pieces of the clips you can't use by clicking on the clip and dragging the edges in. Drag the audio file from the Media Bin and onto a separate track on the Timeline. Trim each clip to retain the best part of the video and transition along with the timing of the music. Right-click on the video clip you want to edit and choose "edit audio." A yellow line will appear on the clip. Grab the line with your cursor and drag it to the desired volume. Choose appropriate files from the Media Bin and drag them to the desired place on the timeline. Click on the Audio Effects tab in the Toolbar, choose the fade in and fade out options, then drag those to the beginning and end of the audio track. Clicking on the music track will bring up the same yellow line you used in the video clip, and you can use that to adjust the volume of the music. Click on the Transitions tab in the toolbar, choose the transition that fits your video, and drag it to the appropriate clip on the timeline. Video Studio 3 will highlight where transitions can be applied. 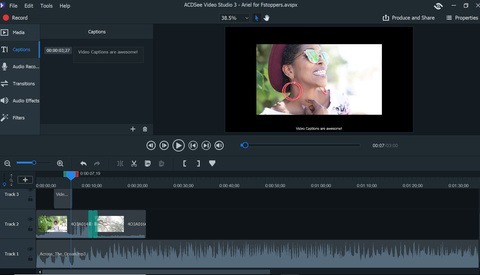 Choose filters you'd like to apply to your video by clicking on the Filters tab in the toolbar and dragging the filter type onto the clip you'd like to edit. 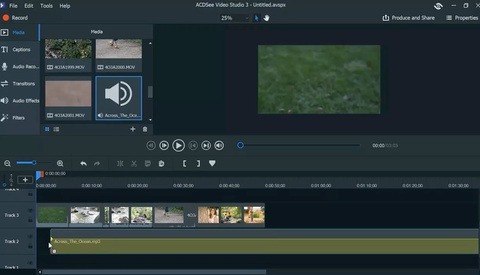 A little purple bar will appear on the bottom of the clip, and when you click on that, options to edit the filter effect will appear on the right-hand side of the screen. If you have subtitles to add, simply drag the CTI (current time indicator) to the part of the video to which you want to add subtitles, click on the Captions tab in the toolbar, press the + button, and type the text you want to include in the caption space. In the File menu, you'll see the option "Produce and Share." When you choose this, you'll be presented with the option to edit the output type and format, etc. Choose your options and click next. You'll then need to name your file, choose the output folder, and hit "Produce." You're good to go! One thing that slowed me down a bit was choosing between two music tracks that I selected before I began editing. I imported both and watched them both with the video a few times to determine which worked better. This took several viewings while I looked for timing match-ups and likely places to trim clips. I probably could have shaved another five minutes off my time if I'd settled on one file before I started editing. 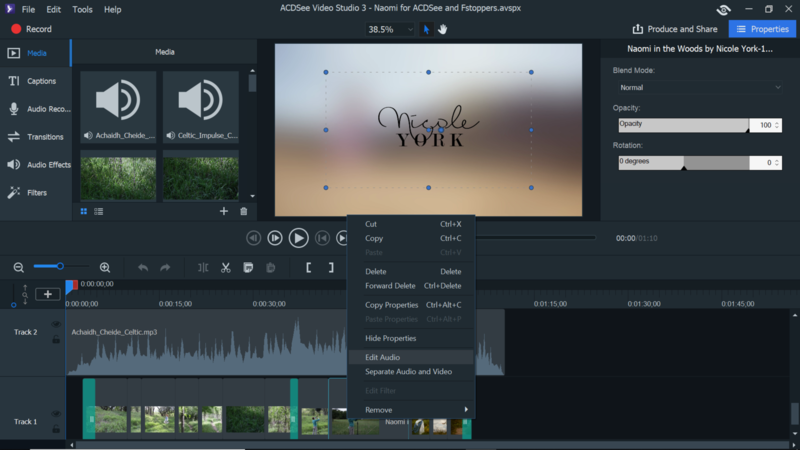 ACDSee Video Studio 3 takes the editing process and simplifies it, so I can get videos out to my audience more quickly, leaving me more time to shoot, edit, market, and focus on all those other important aspects of being a photographer. 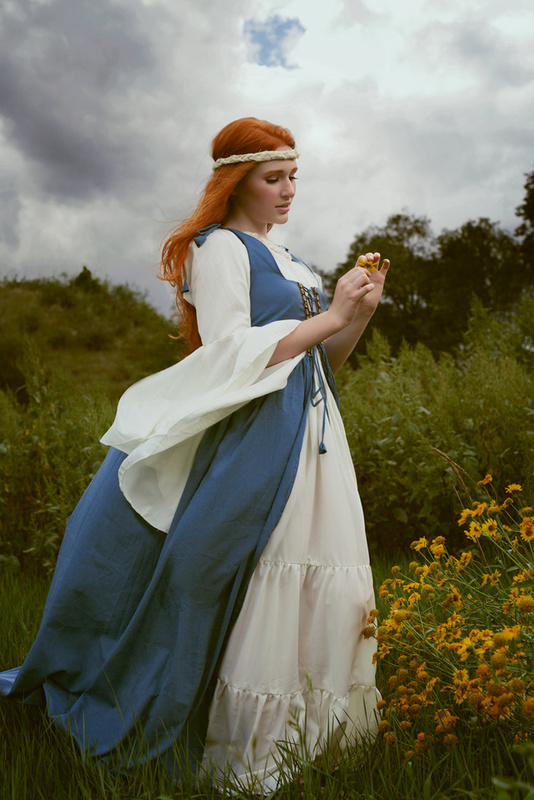 It also means I have more content to share, and more content is always a bonus!